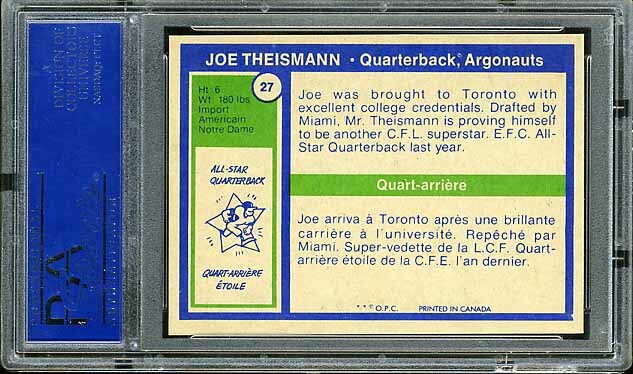 The PSA-graded items below identify themselves. 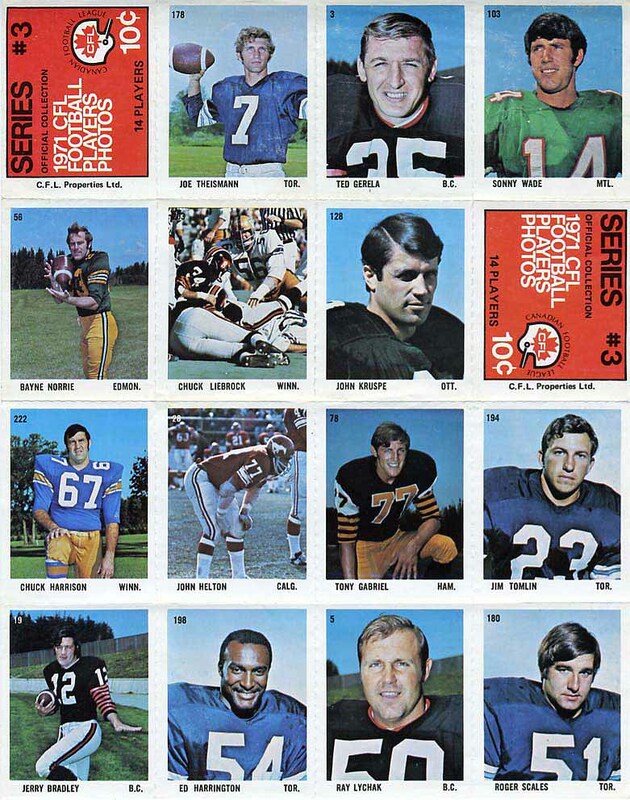 The other items are: 1971 Sargent Stamps uncut sheet, 1971 Sargent Stamps single, and 1973 Mac’s Milk Cloth Sticker. 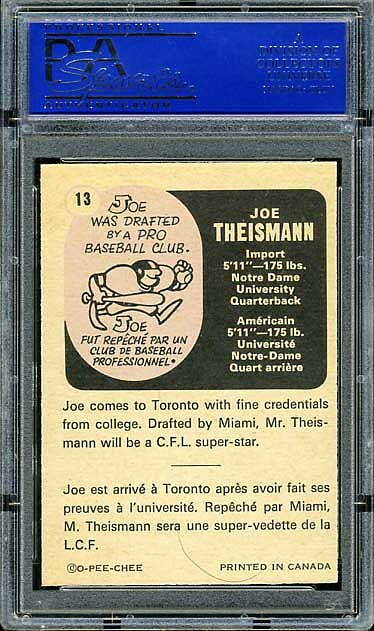 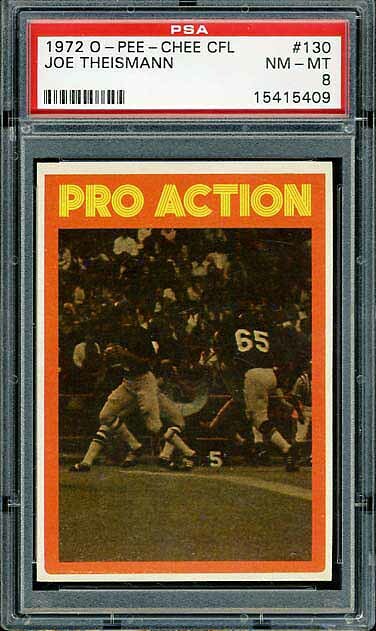 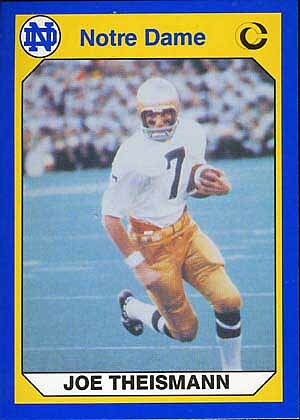 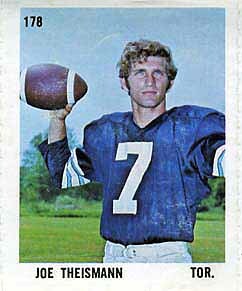 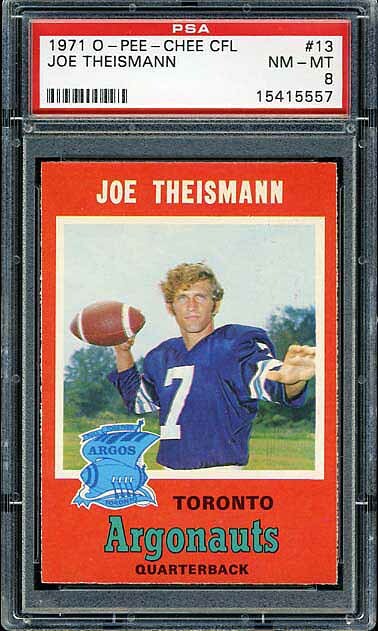 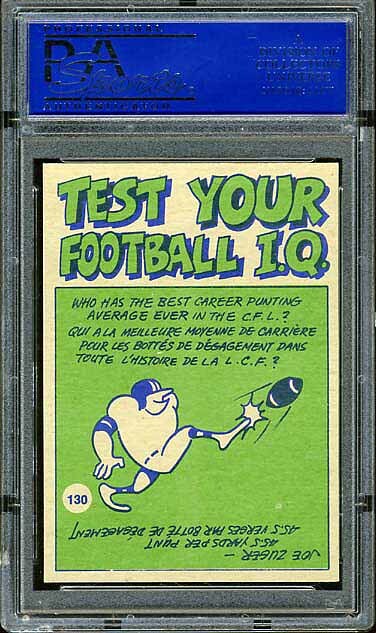 Just for kicks, at the bottom is a Collegiate Collection card of Theismann showing him in his Notre Dame uniform. 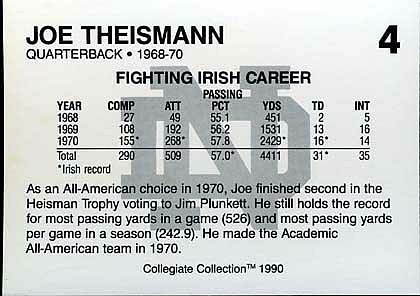 The back of the card also shows his college stats. 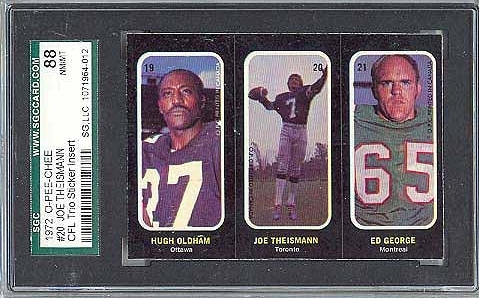 I am so glad I took the time to take decent scans of the backs of my cards. 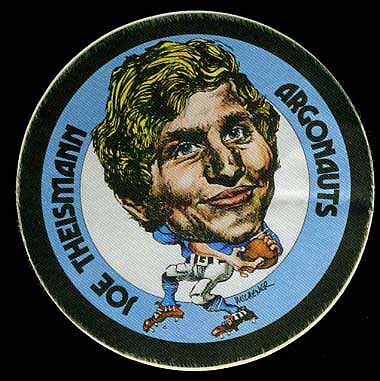 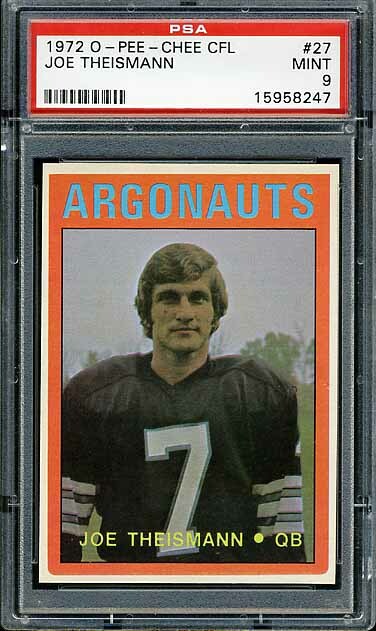 By the way, if anyone has any video of Theismann returning punts for the Redskins, please contact me.